The most important relationship you'll ever have is with yourself. As you may have noticed, I haven't published much on my blog in a while. That's because I'm working hard to put the final touches on a novel, which I've had on the go since about 2012, and which I'm anxious to finish and submit to a publisher. 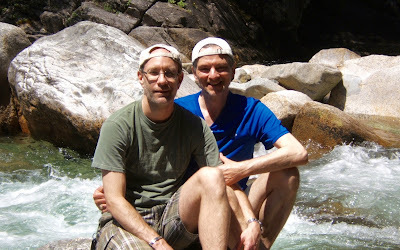 In an effort to keep in touch with you, I started a "This Gay Relationship" Facebook page several years ago, where I continuously post smaller, quick-hit items I think you might be interested in––from LGBT news stories I find in my reading on the internet, to movies and TV shows I recommend, to reviews of books, and anything I'd like to share. I hope you'll check it out (see the top of the column to the right). And, if you're so inclined, I'd love if you joined me and the other members. Time for a new picture of Chris and me, from our trip to Hawaii in early December 2017, where we marked our twentieth-fifth anniversary together. And a reminder, even though I haven't published a post here in some time, I'm still the owner of this blog, and I'm still committed to it and my readers. Send me your comments, questions, and emails, and I'll respond. I promise. Happy 2018. May this be your best year yet. I know. I know. I haven't published something here in a long time (my Christmas and New Year's greetings don't count). But I want you to know I'm still here, I'm still engaged in my blog, both on Blogger and Facebook, and, if you have a question, concern, need advice, or just want to talk, I'm here for you. Send me an email at rmodien@telus.net, and I will respond. I will help if I can. That's a promise. It's been a very long time since I've published a post here (so long, I'm not up to date with the changes Google made to Blogger). 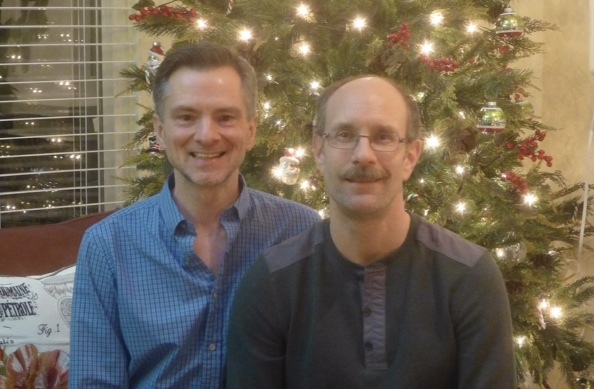 Not sure anyone still pays attention to what I publish, but, if you do, Chris and I want to wish you the very best this holiday season and in 2017. May your lives be filled with abundance, and your hearts filled with gratitude. Chris on one of our trips to Port Angeles, Washington, when we lived in Victoria a decade ago. Twenty-four. That's the number of years Chris and I have been together today. It seems as though we just met. Chris was twenty-three years old back on June 13, 1992–a boy, really. Now, he's forty-seven, and a man. And what a beautiful man. I count my blessings every day that I met him, that we clicked, and that we still click today. On the day after the horrendous massacre at the nightclub in Orlando, when we're all in shock, speechless, and grieving, I hope what Chris and I have is a testament to the deep and enduring love possible between two men. Who in their right mind can say that is wrong? My heart and prayers go out to the families and friends of those massacred and wounded in the Orlando, Florida, nightclub shooting yesterday. When will we learn? For the past seven years, I've had a voice. My voice is this blog. When I sat down in early 2009 to start this blog, I had no idea what I'd say. I knew I wanted to tell the world about my relationship with Chris, because, as I've written before, I wanted to show single gay men that successful, and monogamous, relationships are really out there, and they can have one too. I also wanted to give coupled gay and lesbian people a glimpse into my relationship, with the hope that I'd answer questions they might have about how it worked. But in early 2011, my blog became so much more. While I still wanted to do everything noted above, I really wanted to focus on the most important relationship each of us has, whether gay or straight, and that's the one with ourselves. I had a lot of stuff I needed to work through, on my way to strengthening the relationship I have with myself, and, believe it or not, I managed to do that right here, by writing about it, by purging it, if you will, and by sharing it with you. Finding one's voice isn't easy. It involves giving yourself permission to speak up and be heard. That's a scary thing when you consider how many people, from around the world, might see what you've written. It lays your life bare, open to criticism, and makes you feel humble and vulnerable (it's also huge responsibility). And it takes a lot of courage. Well, maybe less courage than I thought. Once you get started, it's easy. Starting is the hardest part. Earlier this month, I read an article in The Vancouver Sun about "The Gay Heritage Project." Essentially, it pointed out that too much of gay history is lost, because people aren't speaking up and telling their stories. Culturally, gay and lesbian people haven't been encouraged to tell their stories because, historically, they've been marginalized. 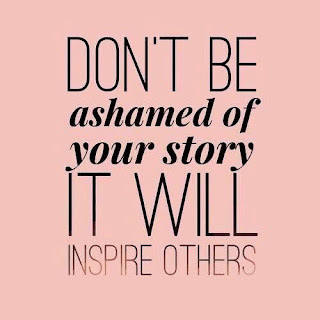 When you don't tell your story, it's like you weren't here. 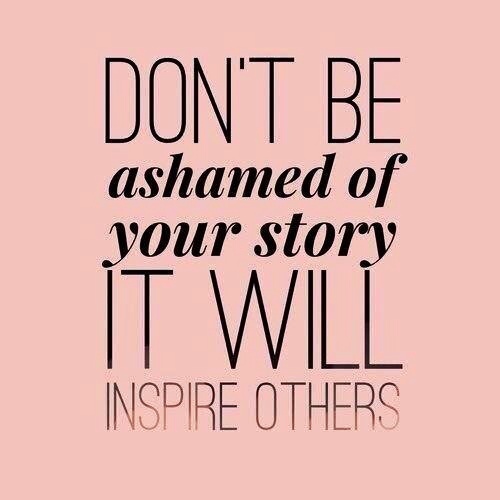 When you tell your story, you announce yourself to the world–and you may even change lives. Loyal readers have probably noticed I haven't written anything here since late last year. In part, that's because I've been busy working on the final chapters a novel I've had going for the past six years. It's also because, although I could think of things to write about, both about my relationship with Chris and about myself, I haven't felt inspired, and I think, to some extent, I've already said enough. If I think I have something important to share with you, I will. Otherwise, I'll shut up. 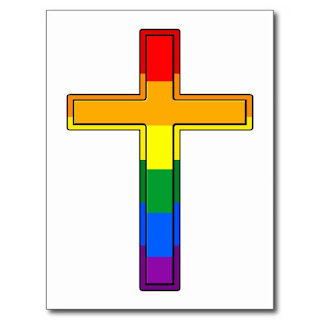 But, when I read about "The Gay Heritage Project," I came up with the idea to turn over my blog to you. Maybe you've wanted to tell your story for a long time, but you didn't know how, or you didn't want to start your own blog (blogs are a lot of work–having written and published over 550 posts, I know). Maybe you just want to say something quick and move on, or maybe you really want to get into it, get it all out, and put it behind you. I know firsthand how cathartic writing is. Whatever the case, I'm inviting you to TELL YOUR STORY, and I'll publish it here, so people can get to know you, and so you have a voice too. It can be about anything you want us to know about your experience of being gay or lesbian. It could be about how difficult growing up was for you. It could be your coming out experience (or how you imagine your coming out experience will be). It could be what it's like to be gay in the country where you live. It could be about a piece of your life that changed who you are. It could be about your hopes and dreams for the future. It can be whatever you want it to be. You decide. If you don't want readers to know your real first name, then use another one. If English isn't your first language, that's okay. I won't edit everything you write, especially your voice, because I want that to be authentic. But, to make sure readers understand what you've written, I might make the odd change here and there. And, of course, I'll still curate what gets published at "This Gay Relationship," so I'm looking for serious responses, not advertisements for products or services you sell. But, other than that, there are no restrictions. With any luck, what we'll end up with is a beautiful collection of your stories, told in your voices. The gay and lesbian experience from around the world. I hope you'll take me up on my offer. I really want to hear from you. I look forward to reading what you write, and to sharing it with my readers. Please submit your stories to rmodien@telus.net. And thank you. I appreciate your interest. Send Mail If you have a question or concern, need advice, or want to talk to someone about a sensitive subject, email me, and I will respond. I may use some or all the details of your email in a post, in the hope of helping other readers. But I will always ensure you remain anonymous. If you are the rightful owner of any image I've used on my blog, and either want me to remove it or to provide copyright information, please contact me. I would be happy to comply with your request. I'm a 59-year-old writer, who lives in Metro Vancouver, and I've been in a loving, committed, and monogamous relationship with a wonderful man for twenty-five years. While I've used my blog to write on different subjects over the past years, currently, you'll find the majority of posts about my relationship with Chris; my experience as a gay man; and self-esteem as it relates to gay people. My intention is to help you on your journey to become a fully-realized gay or lesbian person. I hope you find something here that resonates with you, and you'll come back often. Please leave a comment on any post that interests you or send me an email. I want to hear what you have to say. Original Site Content © 2009-2018 by R. Modien. All rights reserved. Simple theme. Powered by Blogger.